Got a high wattage sound system? Adding a second battery will not solve your charging problems. Your factory alternator is designed to handle your car's original equipment. A sound system or additional accessories installed in your vehicle, draws more amperage than your OE alternator generates....the result is your batteries will slowly discharge due to the insufficient amperage, making it difficult to start your car after a while of driving. 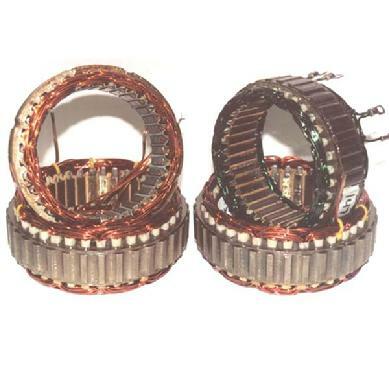 We dedicate our extensive Research and Design to develop high amperage alternators using the same factory casings. Eliminating any mounting bracket modifications. All units are hand selected for custom building using only top quality components. * Our high amp alternators are custom fit using OVERDRIVE pulleys for increased amperage at low rpm's. * A shorter serpentine belt (usually 1/2 inch) is required for proper belt tension. * 4 gauge direct charge wire from alternator to battery is recommended.